(First time only) Configure the project. Choose the snapshot to start the world from. 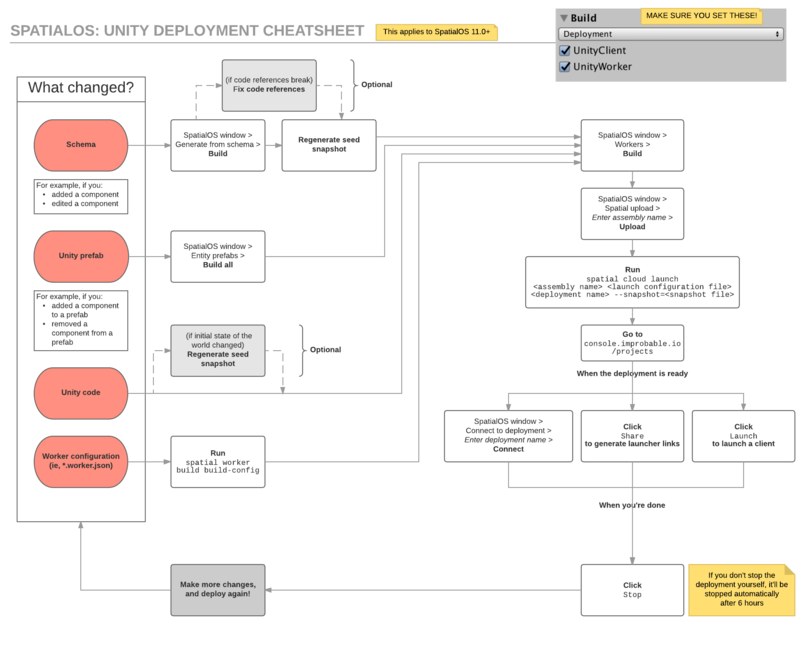 To keep build times down, see this cheat sheet for what to build when (Unity only). If your project includes a Unity worker, close the Unity Editor (otherwise the build will fail). 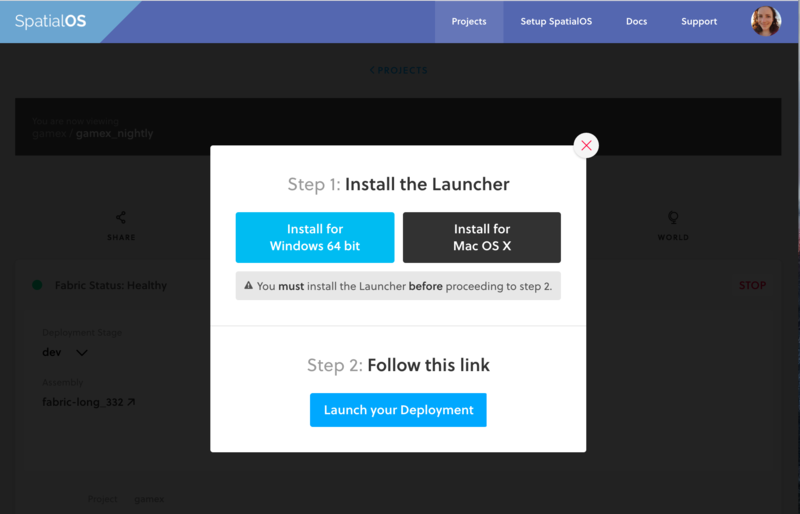 In the project’s root directory, run spatial worker build --target=deployment. For more details, see Building. NOTE: When you update SpatialOS versions, you must rebuild the assembly and upload it with a different name. You could add a date or a commit hash to the name; for example, my_assembly_name_160809. Note: This command defaults to deploying to an US production cluster (such as us3-prod). If you’re in Europe, add --cluster_region=eu to to deploy to a European cluster. To keep the deployment running indefinitely, add the tag leave_me_up.